Colts and the rest of the OHL at the NHL Draft. - Very Barrie Colts | A website covering the Barrie Colts of the OHL. Home 2014 Aaron Ekblad Barrie Colts blog Brendan Lemieux CHL Hockey OHL Colts and the rest of the OHL at the NHL Draft. Colts and the rest of the OHL at the NHL Draft. First we would again like to congratulate the 3 Barrie Colts that were selected in the 2014 NHL draft that was held in Philadelphia, PA over the weekend. 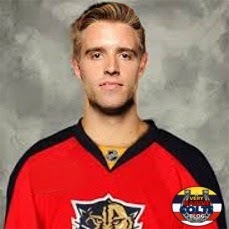 If you missed it, Aaron Ekblad was drafted first overall by the Florida Panthers, Brendan Lemieux was selected 31st overall (2nd round) by the Buffalo Sabres and Kevin Labanc was selected 171st overall (6th Round) by the San Jose Sharks. Having 3 Colts drafted makes it one of the most successful NHL Drafts for Colt players in team history. Only in 1997 (4) and 1999 (6) have they had more players drafted. Not only was this a successful draft for the Barrie Colts, but a massive success for the entire OHL. OHL's official website announced that 41 of the 210 players drafted came from the OHL. Just under 20% is a pretty impressive stat. In the first round alone there were 10 OHL players selected. That is the second highest in modern draft history. The record of 11 OHL players selected in the first round happened in the 2008, 2011 and the 2012 season. 18 of the 30 teams in this draft selected at least one player from the OHL. The LA Kings selected the most picking 7. Following this years draft, a total of 2,198 OHL (10,388 from the CHL) players have been selected in the Draft since 1969. That represents %21 of of all drafted players. Pretty incredible! How did you feel about this seasons draft? Did you like where your Colts got picked? Any surprises? Let us know!